Every year, it is a practise of the Congress and the commie brigade to make some remarks on Hindu nationalism on the 30th Jan.
On Jan 30th, 1948, Mahatma Gandhi was assassinated. A few months before his death, Bharat had attained political Independence and a few hours before Independence, Bharat was partitioned. 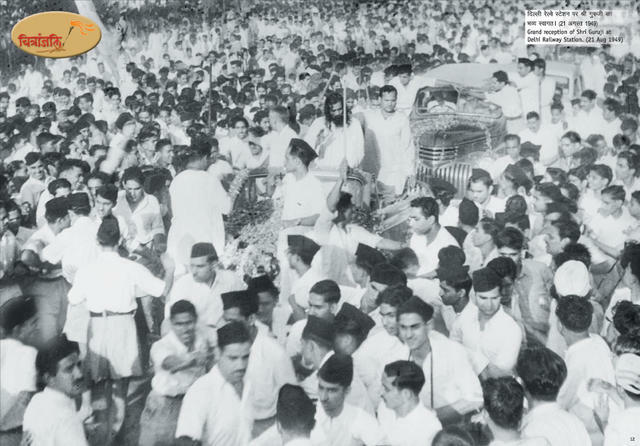 Partition was a result of the aggressive stand of the Muslim League, weak leadership of the Indian National Congress, the British strategy to leave Bharat in a tattered condition and above all, a submission to the political concept of the Darul Islam. Arnold Toynbee writes ‘ What is Pakistan ? it was the first successful step in this 20th century to realize their ( Muslims) 1200 year old dream of complete subjugation of this country. Those interested in reading the events leading to the partition are documented here. Tragic Story of Partition. The country witnessed a holocaust. What followed was a never before seen cataclysm. The transfer of population that the Congress leaders wanted to avoid, took place. They were killed, robbed, looted in transit. As the biggest migration of population in recorded history was in progress, a most dangerous situation arose in the capital. Every 4th person in Delhi was a Hindu or Sikh refugee from Pakistan. This lead to a lot of anger against the Congress leadership. A number of organisations were involved in service activities for the refugees, giving them shelter, support and succour in their times of great tragedy. Guruji Golwalkar of RSS gave a call to the RSS swayamsevaks not to leave Pakistan until the last Hindu is safely moved from the troubled areas. Thousands of swayamsevaks gave up their life in this cause. This is documented in the book, “ Jyoti Jala Nij Praan Ki“. Assassination of Gandhi : Nathuram Godse was one of the people who believed Mahatma Gandhi was squarely responsible for the partition of Bharat. On the fateful day, on January 30, 1948 he approached Gandhi during the evening prayer at 5:17 pm. Godse bowed, and shot Gandhi at point blank range. Godse himself shouted “police” and surrendered himself. His defence was documented in a book, “May It Please your Honour”. However, there has been no explanation of why Gandhiji was not rushed to the hospital and was instead taken to Birla House, where he was declared dead. When no plausible reason is found about why Nehru was so keen to ban the RSS, it can be concluded that Nehru saw a potential rival in Guruji Golwalkar. In fact, one day before Gandhiji’s murder, on 29 Jan 1948 Nehru was reported to have said that: “I will crush the RSS”. 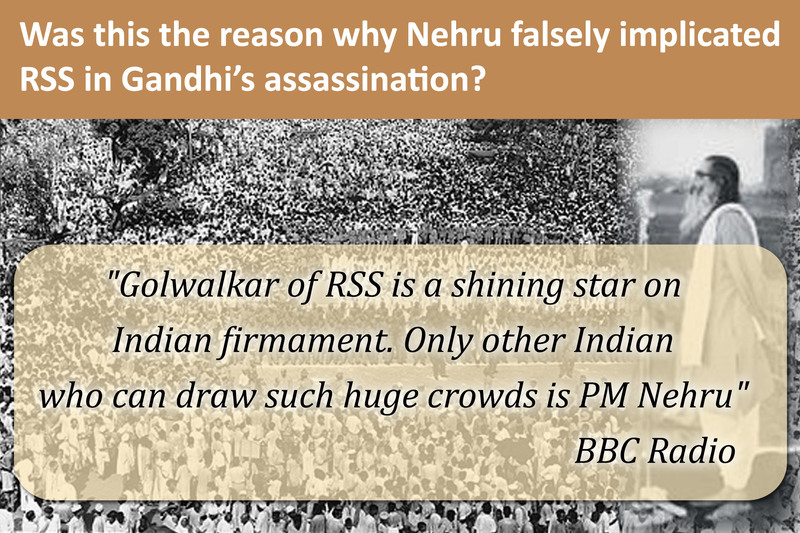 That Golwalkar was immensely popular is documented by BBC. In 1949, BBC radio reported: ‘Golwalkar is a shining star that has arisen on the Indian firmament. The only other Indian who can draw such huge crowds is Prime Minister Nehru.’ Golwalkar was the Sarsanghchalak of the RSS at that time. Nehru was the Prime Minister candidate inspite of Patel being the overwhelming favourite. It is clear from the documentation during that period that Gandhi favoured Nehru primarily to ensure that the Congress doesn’t split during the trying times after partition. It seems apparent that Gandhi believed that Patel would work under Nehru but Nehru wouldn’t vice versa. Gandhi was disappointed by some of the decisions taken by Nehru and in fact had called for a public debate on policies. 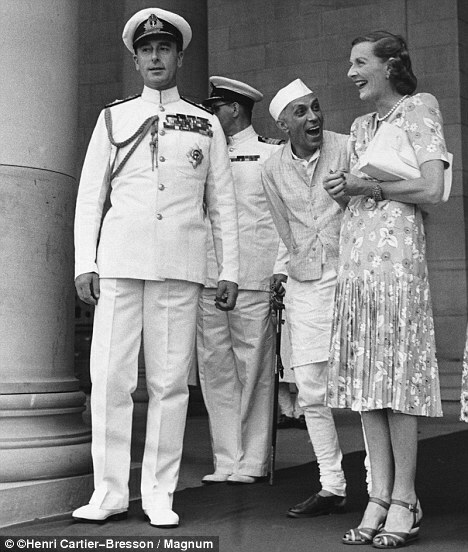 This naturally put Nehru on the back-foot. He never responded. A missing Netaji Subash Chandra Bose ( under mysterious circumstances ), an assassinated Gandhi, an implicated Savarkar, and a reviled Golwalkar ensured that Nehru had a free run. In fact even in 1953, a potential contender like Syamaprasad Mukherjee died under mysterious circumstances in the jail of J&K. This was a state managed by Nehru directly. It is apparent that the biggest beneficiary of the above sequence of events was Nehru. He remained the Prime Minister of the country for 17 years. It is also a known fact that Gandhiji was of the opinion of disbanding the Congress in the future. Yet, no investigation was taken in that direction as to why he chose to target such luminaries! When a great freedom fighter like Veer Savarkar and Rishi like Golwalkar could be incarcerated, why no questions were raised against Nehru and Congress is something I have been intrigued with. When Gandhiji was shot point blank, why was he not moved to a hospital and moved to Birla House ? Was there no intelligence inputs on the assassination ? When there were 4 earlier attempts to murder Gandhi, what were the additional measures taken by the Nehru government to provide security. Did any heads roll ? Why was Nehru in a hurry to find an organization to link Godse with when Godse was insisting he was doing it in individual capacity ? Prof. Rajendra Singh, 4th Sarsanghchalak of RSS in an interview to Outlook ( Jan 1998 ) said regarding Godse “Initially, he was a member of the Congress, later he joined the RSS and left it subsequently, saying that it was a slow organisation. Then he formed his own group.” Godse left the RSS in 1934 and joined the HMS as per his own admission to the court. He then formed his own group. Gandhi was assassinated in 1948. Prof.Rajendra Singh had asked, “If investigations were done on whether RSS was involved in the assassination, why were there no investigations whether Congress was involved in allowing the assassination to happen” ? ( since he was a member of both the organizations and had left them ). Gandhiji’s assassination gave an opportunity to Nehru to use enormous amount of state power to crush the Hindu nationalists. At the same time, he shifted the public discourse away from core national issues raising the bogey of Hindu fascism. This lead to sidelining of all major issues of national relevance like education, language, cow slaughter, agriculture, models of development, administration, and many more core issues. This was a classic example of the Marxist method of shifting public discourse. The nation has to do a course correction. Bharateeyas must ask and seek what Nehru & Congress’s interests were in shifting the national discourse away from our core to the periphery. This entry was posted in History, Nation and tagged Congress, Gandhi assassination, Godse, Golwalkar, Hindutva, Nehru, RSS, Savarkar on January 30, 2014 by arisebharat. The bloody Leftist Commie pigs using Gandhi, who used to call Gandhi a running dog of British and Netaji a Running Dog of TOJO, these Commie Gutter degenerate pigs now shamelessly use Gandhi. 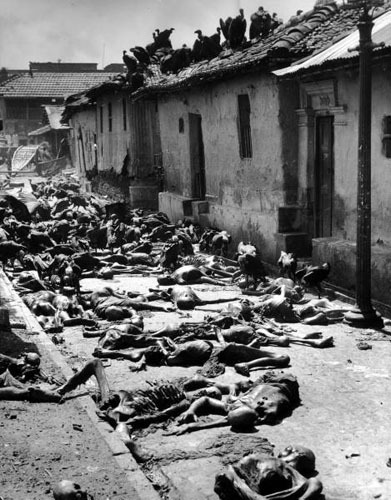 When will we Hindus go for ‘Direct Action Days” against Commies-Congis? Great writing…… such a lot of information packed into a handful of paragraphs….nothing substantial left out either…..and amazingly easy reading. We should take pains to circulate this to as many people as possible. I’m sure that a single reading of this article can convince people about the real facts that lie beneath truckloads of lie sponsored by the dynasty and supported by the media & vested interest groups. Well written, A pertinent question “who is the ultimate beneficiary” should always be asked in political unfoldments. Finding the answer to this question in an objective manner and from a bird-eye perspective would help us find the right people, their intentions and conspiracies behind the actions. Well researched article. Leftists i.e. Secularists are today doing the same thing that the criminal Nehru did. They are exploiting Gandhi’s assassination, and misusing it to tarnish their political opponents. Gandhi has been forgotten by them in all but name. This is the central point that needs to be made when dealing with this propaganda.